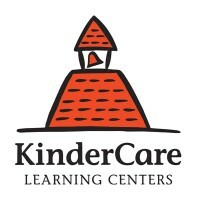 Founded in 1969, KinderCare Learning Centers are educational facilities that specialize in childcare and early childhood education. Knowledge Universe owns the company, and the educational programs are aimed at children from six weeks old to 12 years. When you submit a KinderCare application you are applying for a job that provides a fantastic educational opportunity for young children. Currently there are around 200,000 children enrolled, and there are more than 1,600 center locations in 39 states across the US. As the largest provider of private childcare and education, there are a wide variety of job opportunities with this industry leader, and positions are regularly available due to the scope of the company. There are around 30,000 working employees of Knowledge Universe in America alone, and the parent company is located in Singapore. Perry Mendel, who was a real estate developer, initially founded the KinderCare company. He came up with the idea as more women were returning to the work force and the demand for childcare far surpassed the services that were available at that time. Incredibly, within two years of operation, the number of operational KinderCare centers reached 19. It was at this time that the first infant care was also provided. There are a wide variety of KinderCare careers available, and due to the company growth, there are KinderCare jobs becoming available all the time. The majority of positions are teaching roles, including toddler teachers, early education teachers, kindergarten teachers, prekindergarten teachers, assistant teachers and certified early childhood teachers. Aside from the teaching roles, there are a number of corporate positions required by this company. These KinderCare jobs include center directors, assistant directors, area managers, program coordinators, customer relationship specialists, and executive assistants. To submit a KinderCare application, you can apply online. How old do you have to be to work at KinderCare? You must be 18 years old to apply for KinderCare jobs. There are many benefits provided to eligible employees on hiring. This includes flexible schedules, competitive pay rates and on the job training. Also, certain employees may receive medical, dental and vision insurance as well as life insurance. Pharmacy and flexible spending plans are offered, and the company will match 401(k) retirement plans. Generally the centers are open Monday-Friday from 6:30am – 6:00pm, but are closed on the weekends. Assistant Teacher – As well as following the center’s teaching curriculum, other responsibilities include keeping the children safe and supervised, and providing positive guidance. Assisting the teachers to make assessments is also required. The average salary starts at around $10.00 per hour. Teacher – The main responsibility of the teacher is to provide a successful and unrivaled educational experience. As well as following the center’s curriculum, teachers are encouraged to come up with new and exciting methods of teaching, as long as the basic requirements are met. Assessments of the students, as well as supporting the success of the center are essential. The average wage starts at around $10.00 per hour. Center Director – The main responsibilities of the center director are to lead the rest of the team in providing quality education and care. Positive partnerships should be cultivated with families, teachers, state licensing authorities, corporate partners and community contacts. Customer service skills are essential, and the aim is to create a stimulating atmosphere for the teachers and the children. The average salary is around $45,000 per year. Toddler Teacher – As with other teaching roles, the main responsibility is to provide education, care and safety of the children in your care. You will be required to create an interesting learning space and display excellent organization skills. The provided curriculum is to be followed, and duties aimed at supporting the center are required. The average salary starts at around $13.00 per hour. Planning for an interview can increase your chances of being successful, and this includes thinking about possible questions and formulating answers beforehand so that you will feel less nervous in the interview. How do you think you can make a contribution to KinderCare? This is your opportunity to outline your qualifications, experience and work ethic in relation to the position you have applied for. What are you looking for in terms of career development? The reason behind this question is to see if you are looking to advance your career or whether you are happy to stay as you are. Be honest about what you would like to achieve in the future, and how you would like to reach those goals. What three character traits would your friends use to describe you? It’s a good idea to ask your friends this question so that you can have a true answer, rather than making it up on the spot. Have you ever had to deal with conflicting deadlines? There may come a time when you have to work out what takes priority. If you have had experience with this before, outline how you managed it. If not, come up with a response that explains how you would prioritize the tasks. Do you have any questions for KinderCare management? Often people are reluctant to ask questions in interviews, but it is actually a good thing to do, as it shows interest. Try and think up at least two questions to ask, but don’t make them about salary, as this is sometimes seen as offensive. The process of applying is easy once you know how to apply for KinderCare online. Their official website lists available KinderCare jobs online, and has all the information on the requirements for each position they are currently hiring for. There is no download application form, therefore no printable application form, so you are unable to make a direct application at your local branch. If you do find a printable application for KinderCare, ensure it is a legitimate form before submitting. To apply for jobs at KinderCare, the online application is a free application and you can attach a copy of your resume with your application form. A cover letter outlining your experience and previous employment is also good to include. Once your application is submitted, it might take a bit of time to get a response. If you haven’t heard back within a week, contact your local branch and make enquiries with the human resources staff about the status of your application. If you receive a job interview, it is important to present yourself well. This includes dressing appropriately, and making sure you are neat and tidy. Some find it helpful to carry a copy of their resume with them, as it provides something for the hands to hold onto to help steady nerves. Be polite and friendly to everyone you come into contact with and make sure you thank the interviewer for their time and the opportunity at the end of the interview. Primrose Schools: Visit the Primrose Schools application. Postnet: Visit the job application for Postnet to apply today. SmartStyle: Visit the SmartStyle application. Supercuts: Use the Supercuts job application to apply here. Kumon: For employment at Kumon visit the application page.